India is another rapidly developing river cruise destination in Asia. 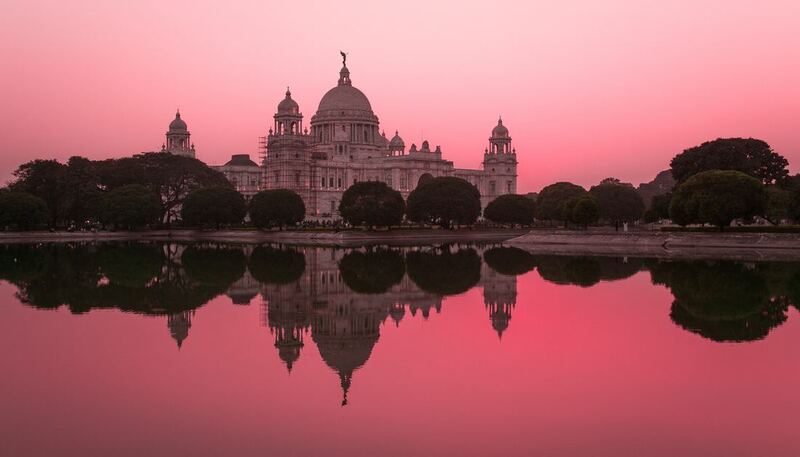 Given its many challenges for Westerners, traveling to India on a river cruise allows many tourists to limit the distance they step outside their comfort zone. It doesn’t matter how you travel, be prepared to be overwhelmed in India, not only by the noise and the hustle and bustle but by the amazing gems you discover and the unexpected way of life you experience. Whether you travel in absolute luxury or as a back packer, you will not be able to avoid having your senses assaulted by the rubbish that litters everything; the lack of basic sewerage facilities; camels, dogs, pigs and cows are among the animals simply roaming the streets; people washing clothes or bathing in the river; the overpowering aroma of street foods that you can try at your own risk; the chaotic roads; and the seemingly unending crowds of people. 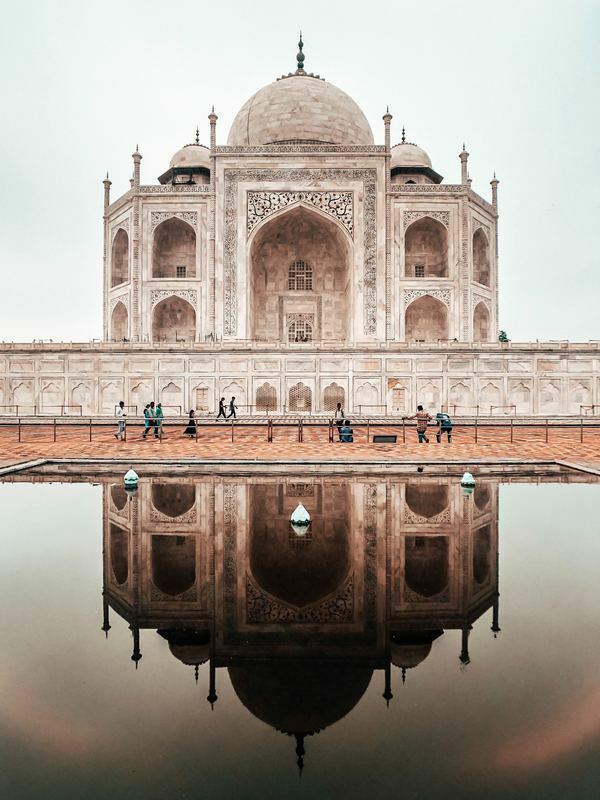 The amazing Taj Mahal in Agra - one of the seven wonders of the world, the Taj Mahal is an ivory white marble mausoleum commissioned in 1632 by the Mughal emperor Shah Jahan, to hold the tomb of his favorite wife Mumtaz Mahal. ​It is the focal point of a 17-hectare complex that includes a mosque, formal gardens and a guest house. Humayun’s Tomb - believed to be the design that inspired the Taj Mahal, it was constructed with red sandstone and white marble and completed 76 years before the Taj. It is recognised as an outstanding example of Mughal architecture and, in reverse to the Taj Mahal, was built by Hamida Bano Begum in memory of her husband. Red Fort - rests on the bank of the Yamuna River in front of Chandni chowk and was completed in 1648. A tradition was commenced when the first Prime Minister Nehru gave a speech at Red Fort when India became independent. Each year the flag is raised and the Prime Minister of the day gives a speech on 15 August to celebrate Independence Day. Qutub Minar - this is the tallest minaret is the world and is made solely of red sandstone and marble bricks. It stands 73 metres high and was constructed in stages by three different builders (many travelers try to guess the design and construction differences where each builder finished off). It is part of the Qutub complex that includes one of India’s earliest mosques, tombs and much more. 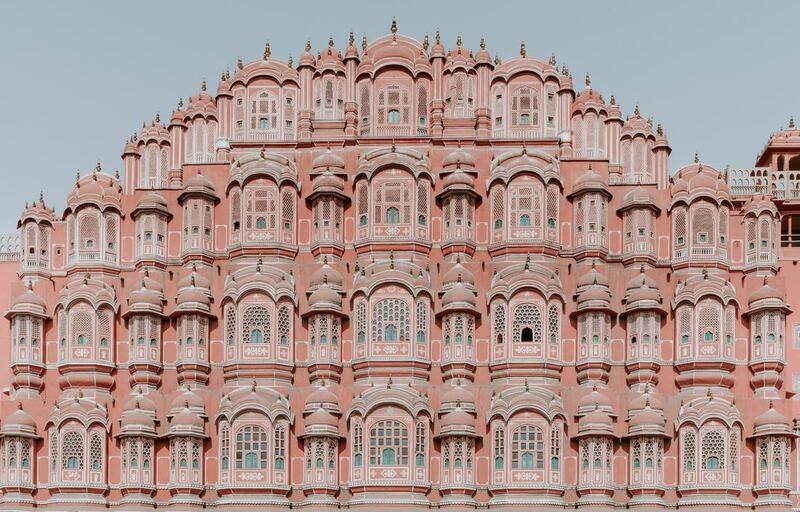 Jaipur (the Pink City) - also known as the Old City, Jaipur is the capital of the state of Rajasthan. The ruling royal family founded the city in 1727 in it own unique pink color. The central feature of Jaipur is the opulent City Palace complex that is still a royal residence and includes beautiful gardens, courtyards and museums. Travel across India - many river cruises in India last 14 days or longer and include bus trips and flights to distant destinations. Check your tour operator to see how much of the trip is by boat and how much by other transport means and overnight in hotels or resorts. Determining which cruise company you will use in India is often based on budget - from the basic with small ships to some of the most luxurious river cruise boats you will find - it is important to do your research and discover what is included in the tours and, most importantly, what is not. You can always take some day river cruises with local companies while you are there. 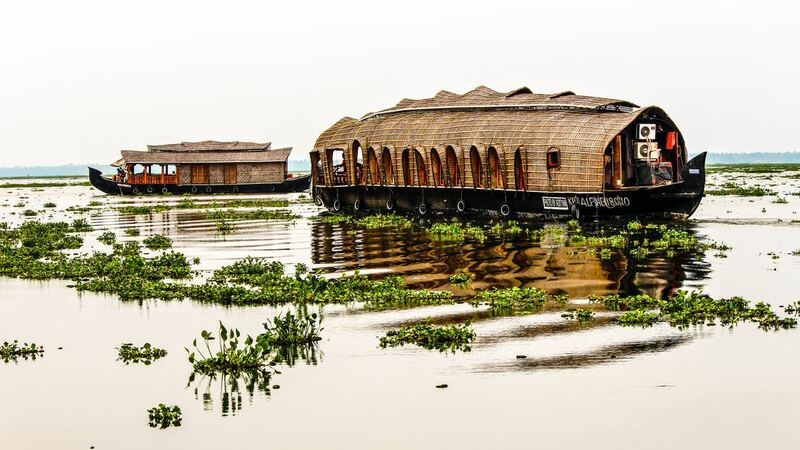 Best Times to Cruise: Most tours on India’s two major rivers operate from October through to March, with October and February being the best times to cruise and take tours across the Golden Triangle. Temperatures are usually between 18C and 25C in February, but by late March the weather starts to become humid. Smog caused by weather and pollution can delay flights and reduce visibility late in December and early in January (to the point where you can’t see the Taj Mahal at sunrise), also causing health concerns if you have breathing issues. It is beneficial to research all cruise companies operating in India - some focus on the Golden Triangle outlined above; some might include safaris where people hope to see a Bengal Tiger or other exotic animals in the wild; while others include desert tours with camel rides and exploring a different style of life. Where to Stay: If you are planning to spend time in the Golden Triangle, try to get accommodation as close to the city centre as possible. 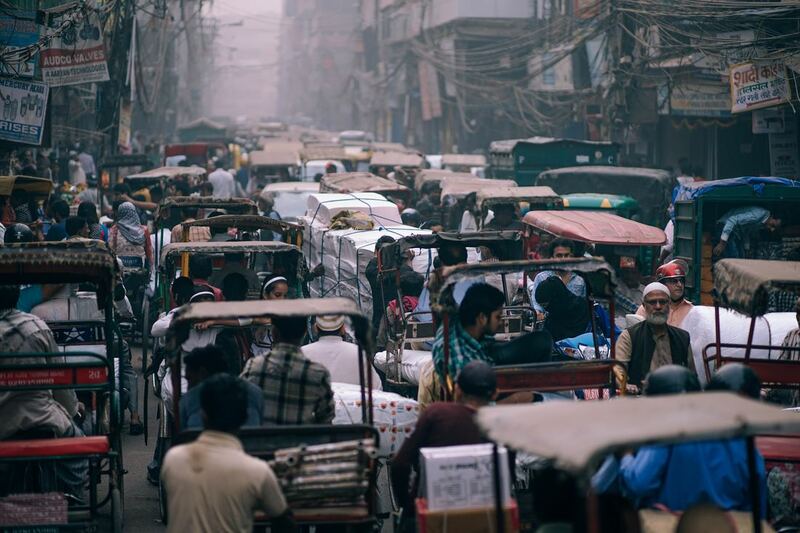 Traffic across most of India is chaotic, but in the capital it can be nightmarish. If you are staying too far away you could spend hours on buses, which will not only be frustrating but can try the patience of traveling partners. And make sure your room has good air conditioning. Arrive early: Many flights into Delhi arrive early in the morning so your cruise company may not be able to provide a transfer to your hotel and you may not get an early check-in. Consider arriving a few days early, or at least paying for the previous night so you can get a good rest on your arrival day. Visas: Travelers can usually purchase an eVisa online 30 days before you arrive. 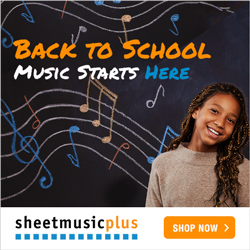 Navigating the website can be a bit frustrating, so allow plenty of time. Visas are usually issued in three to five days. 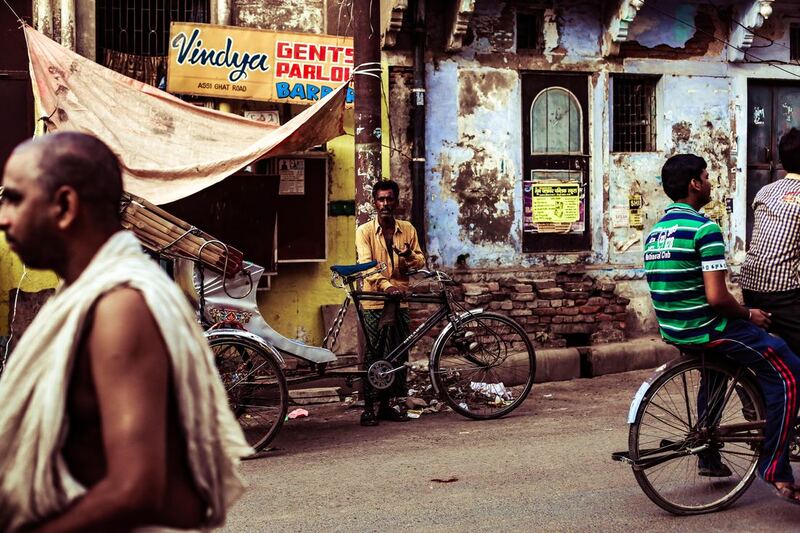 Budgeting: We suggest you allow extra funds for any trip to India for a couple of reasons. Some cruise companies do not include all meals, which will be an added cost. Poor sanitary conditions in most local restaurants mean that many travelers prefer to eat at a western hotel, where prices are much higher than allowed for on a tour. There will also be extras that you may not have considered, like bottled water and hand sanitisers. Clothing: While India can be hot and humid, the northern part of the country can be quite cool at night. Some coaches and hotels also crank up the air conditioning to compensate for the humidity, so carry a light jacket or sweater. It is also wise to have enclosed “washable” shoes and carry a couple of pairs of socks for two reasons - shoes must be removed to enter any temple or holy area, and sandals are not recommended given the amount of dirt and wastes that could be in the streets. Currency: At present India has some strict monetary reforms in place so there may be limitations on how much you can draw from an ATM at one time. Check with your tour company about where to exchange money and how much you will need (and take rupees into the country with you). Excess Luggage: You will be traveling on local airlines to your river cruise departure port and they have much stricter luggage limits than international carriers (usually 15kgs check-in and 5kg carry-on). Excess baggage charges are about 100 rupees ($2 AUD) for every 1 kg over weight, and you will need rupees to pay at the check-in. Local Transport: While most Western tour companies have modern coaches with rest rooms and supplied bottled water, road transport is both chaotic and time-consuming, even over what seems a short distance on the map. We suggest only the adventurous or experienced take up the challenge of non-Western transport options. Medicines: We always recommend you get a good briefing from a specialist travel doctor before leaving home, but in India as a minimum you should take some medication for the famous “Dehli belly”; perhaps travel sickness tablets for the bus rides; and if you have asthma or any other respiratory issues, take plenty of your normal medications because of the high pollution levels in most cities.